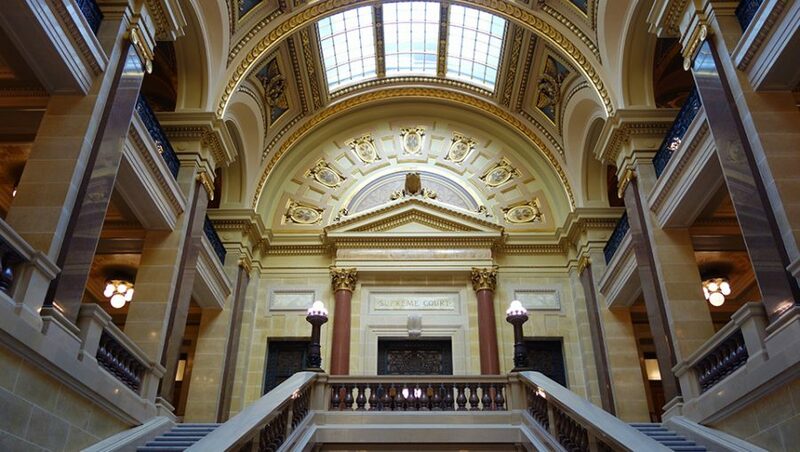 The wording of a 2015-2017 budget amendment, slipped into law with no public hearing, was the crux of a Wisconsin State Supreme Court case heard on Tuesday in Enbridge Energy Co., Inc v. Dane County. Enbridge, a $162 billion Canadian pipeline company, sought a permit to increase the amount of tar sands it pumps through Line 61 — part of which lies on the northeast side of Dane County — from the Dane County Zoning and Land Regulation Committee (ZLR) in 2015. Due to its knowledge of Enbridge’s Kalamazoo oil spill, the ZLR sought input from President of American Risk Management Resources Network David Dybdahl prior to approving the permit. On Dybdahl’s recommendation, the committee required that Enbridge purchase $25 million dollars in dedicated cleanup insurance as a part of its permit issuance. Enbridge has consistently denied knowledge regarding the source of the provision, known as Act 55 Insurance Limitation, despite hiring a lobbyist whose reported hours exactly tracked with the timeline of Finance Committee’s provisions. At issue in the court is whether the insurance requirement within the permit issued by Dane County was legal. Enbridge argued that the state law rendered provisions of the permit unenforceable, thereby nullifying Dane County’s ability to require proof of insurance to the level indicated initially. The corporation maintains that they “carried” the necessary insurance at the time of the permit’s issuance, but that the word “carry” is a time-bound, “date-certain” term and does not mean that they still must possess it. “The word ‘carries’ has a lot of weight on this case,” Wisconsin Supreme Court Justice Ann Walsh Bradley declared. Gault argued that the operative date for the court to consider the permit was when it was approved by ZLR committee in Dane County, prior to the Act 55 provision. Enbridge chose a date later than the adoption of the provision to focus on. Throughout this case’s journey through the courts, Enbridge has denied “knowledge regarding the provenance” of the “very specific two-sentence measure about pipeline insurance,” which was “buried on page 18” of the Motion 999 according to The Isthmus. The amendment to the motion is known as the “Act 55 Insurance limitation” according to the court of appeals decision. “The anonymous nature of even the sponsor of the bill is something that really does fly in the face of democratic accountability,” UW-Madison political science professor David Canon told The Isthmus. “The way the Legislature intervened on behalf of Enbridge smacks of corruption,” Wisconsin Democracy Campaign Matthew Rothschild argued in an op-ed. Rothschild points out that in 2015 Enbridge hired “the well-connected lobbyist Bill McCoshen” of the lobby shop Capitol Consultants. McCoshen reported 18 hours lobbying on the matter, according to Rothschild. 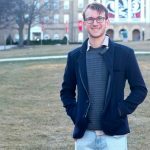 Reports show that the bulk of McCoshen’s hours took place in the same month that the Joint Finance Committee was meeting on the budget, and dropped off soon after the amendments to the Motion 999 were finally adopted. These sweetheart deals for special interests are somewhat of a specialty of Capital Consultants. McCoshen’s long-time associate at the firm, Eric J. Petersen, used the same Motion 999 tactic for the 2013-2015 budget to slide four words into the budget nullifying the lawsuits brought by lead-poisoned children who were suing lead paint manufacturers. This story was the subject of a blockbuster Guardian exposé in September 2016. The Guardian exposed that one lead paint manufacturer had paid $750,000 in dark money to a third-party group supporting Walker before the legal change became part of the budget. If McCoshen was lobbying for the provision, it did a careless job. “They can’t even draft legislation adequately,” Peter Anderson, risk management subcommittee chair of the tar sands campaign for the 350 Madison Climate Action Team, told WORT. Enbridge did not qualify for the exemption from Dane County’s requirement as expected. The state override only applies if the company in question has what the amendment defines as a certain type of insurance called “sudden and accidental coverage.” But that type of coverage was largely replaced by insurers with a more restrictive “time element” coverage. Enbridge has the latter. Supreme Court decisions are supposed to be released by June of the year they were heard. The full video of the oral arguments can be found on the WisconsinEye website. Scott is a Fellow at CMD. He graduated from St. Mary's College of Maryland with bachelors degrees in Political Science and Studio Art.